Lush rainforests, stunning beaches, majestic mountains, coffee, wine, rivers, volcanoes, sea stacks, ferries, islands, emerald cities, tide pools, whales… you’ll find it all in the Pacific Northwest. The good news is that one vacation can include something of everything! Anchor your trip around an iconic city like Portland, Seattle, or Vancouver, or around one of the region’s fabulous national parks—Olympic, Pacific Rim, Mount Rainier, or Crater Lake. Then leave the infill to us, because we know where you’ll find the best restaurant in Vancouver, winery in Oregon, hiking trail in the North Cascades, and kayak outfitter in the San Juan Islands. Whether you prefer a casual cup of joe in Seattle or fancy high tea in Victoria, you’ll discover that it doesn’t take a caffeine buzz to feel blissed out in this friendly part of the world. Some areas take on an identity defined more by natural beauty and shared character than by political boundaries. The Pacific Northwest is one such area. Parts of British Columbia, Washington, Oregon, and Northern California throw their treasures into this collective chest awaiting your discovery. Travelers are drawn to the Northwest for the hiking trails, the food, the beaches, the big trees, and the coastal drives—and Off the Beaten Path has the best of all that dialed in. Whether you would like to explore the area on a naturalist-led Small Group Adventure or on an independent, private trip fully tailored to your interests, we have you covered. Hiking is as much a part of Northwest culture as coffee. There are almost unlimited opportunities to explore afoot, on trails of just about any length or difficulty you like, through any terrain. Our maps are filled with notes on where you can hike, from easy walks to summit baggers. There’s Hurricane Ridge, the Hall of Mosses, Third Beach, and more in Olympic National Park. At Mount Rainier National Park you have the Sunrise Rim Trail, the Skyline Trail, and Gobblers Knob for starters. The Eagle Creek hike in the Columbia Gorge is a classic with its waterfalls and sheer basalt cliffs. 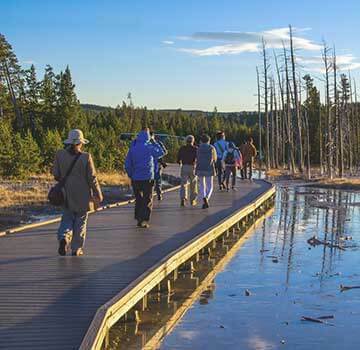 At Crater Lake National Park you can walk all the way around the lake, one trail, one day, at a time. In California’s Redwood National Park, hike through stands of stately and ancient giants, whose likely ancestors stood when dinosaurs roamed the region. If wine and food are your thing, the Northwest is your place. The seafood doesn’t get any fresher, and the wines are world class. Take a food and wine tour at harvest season for an exquisite getaway, with stays in lovely inns and lodges. Rural roads, lavender farms, bakeries, and hidden-gems of restaurants highlight the days. 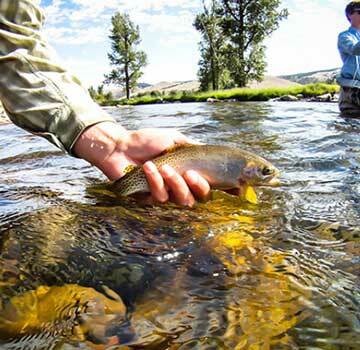 For you river rats and fly fishing aficionados, we suggest a three-day Rogue River trip. 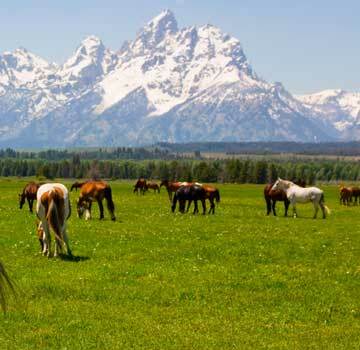 The wildlife watching is great, the fishing is terrific, and you can choose whether you would like to camp along the way or stay in wilderness lodges. Let us string some of our favorite places and experiences together for you in a perfect trip to the Upper Left Coast. We think you’ll love it.